Speed. Adrenaline. Racing. Mad. British. Does this sound familiar? This is what the Tourist Trophy is all about. This is what GRAHAM LONDON is all about. No wonder why GRAHAM will be the official timing partner of the Tourist Trophy Isle of Man races for the third consecutive year. Historic. Unique. Legendary. Does this sound familiar? This is what the TT is all about. This is what GRAHAM LONDON is all about. 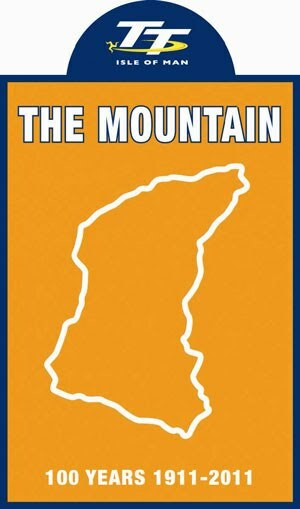 This year the mountain course celebrates its 100th anniversary. A 37.73 mile circuit leads the competitors to ride on the highest points on the island. You wouldn’t expect us to cook a birthday cake to celebrate, would you? 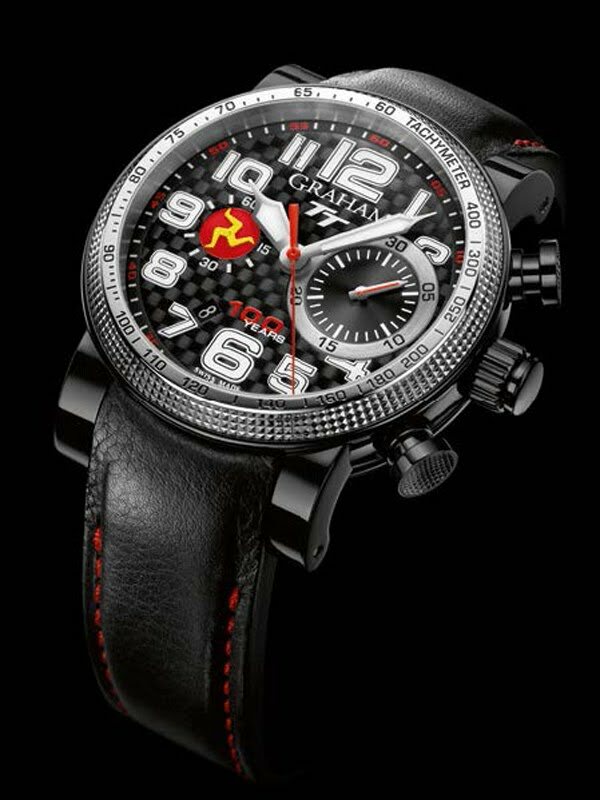 No, instead GRAHAM presents a limited edition watch of only 200 pieces. A watch that takes its inspiration from the track and that bears the reckless TT heritage. Black carbon, “Clous de Paris” decoration, TT Isle of Man coat of arms seconds’ counter. This is what the Silverstone TT is all about. A typical high-powered racing instrument. Becoming part of the history is also what GRAHAM aims at when announcing it has renewed its partnership with the race for 3 more years, until 2014. What would be a birthday party without entertainment? GRAHAM joins the celebration and proves its attachment to the race by being part of the TT3D Closer to the Edge adventure. There is no sluggish start with us. This unique 3D documentary tells the story of the TT Isle of Man races and the modern heroes who put their lives in danger. Renowned heroic riders such as Guy Martin and Ian Hutchinson confide to the camera and explain how they prepare the race, how they live the race. Great riders and proud GRAHAM owners who know what it takes to compete to be on the highest position on the podium. Thrill guaranteed. 47 mm steel with black PVD case. Calibre G1734, automatic self-winding movement, 27 jewels, 28’800 A/h (4Hz), Incabloc shock absorber, 48 hours power reserve, domed sapphire crystal with anti-reflective coating on both faces, smoked see-through sapphire crystal case back with limited edition serial number and black leather strap with red stitches which is a reminiscence of the riders’ racing suit.